iNUKE Series power amplifiers pack massive amounts of output power into exceptionally lightweight, rack-mountable packages. Our revolutionary high-density Class-D technology combined with ultra-efficient switch-mode power supplies ensures these feather-light powerhouses will drive your rig effortlessly for many years to come.Superb transient response We spent years fine-tuning the high-density Class-D technology that gives the iNUKE Series its oomph. By carefully selecting transistors with extremely high slew rates and optimizing other proprietary parts of our circuitry, these amps react instantly to even the most demanding electronic bass impulses. When this amazing amplifier technology is combined with our state-of-the-art switching-mode power supplies, these amplifiers provide tremendous punch. And because they are so much more efficient than conventional designs, they run cooler and don't require the massive heat sinks and heavy toroid transformers typically associated with their conventional counterparts. iNUKE DSP For sound engineers requiring high-level control capability, iNUKE DSP Series amplifiers come ready for action right out-of-the-box. The built-in DSP and 24-bit/96 kHz converters ensure the ultimate signal integrity with an extremely broad dynamic range. DSP functions include a sophisticated delay for delay-line loudspeakers, crossover, EQ (eight parametric, two dynamic), and dynamics processing with lockable security settings. 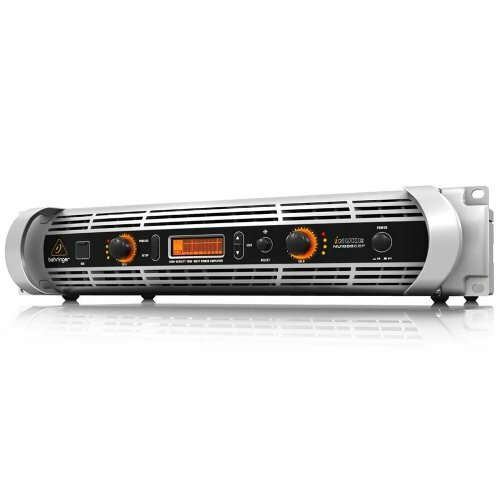 A convenient front panel LCD display allows you to setup and make adjustments directly at the amplifier, without the need for a PC. All iNUKE DSP models can also be set up, controlled and monitored via the front panel USB connector.